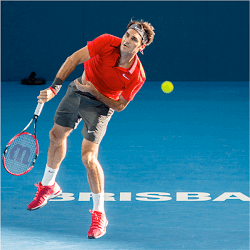 The Brisbane International tennis tournament is part of the ATP World Tour series. 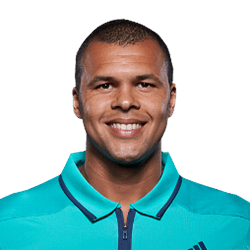 Serving as a preliminary trial tournament to the much-anticipated Australian Open, the Brisbane International tennis tournament kicks off the tennis season with a cracking display of grand slam action. Played on hard surface courts in the Queensland Tennis Centre, the 2017 edition is the ninth instalment of the tournament, which promises a host of thrilling matches. The upcoming Brisbane International tennis tournament 2017 will commence on the first of January up until the eighth of the month. 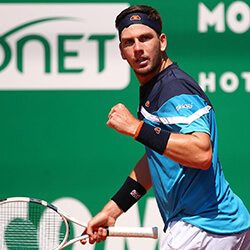 The 2016 instalment of the grand slam saw some major upsets particularly in the men’s division. 2017 promises high-octane action for sports enthusiasts and punters in quest of thrilling tennis fixtures. Rafael Nadal will kick start his tennis year at Brisbane International tennis tournament for the very first time in his career. This is exciting news, especially for the men’s division. Deemed the king of clay; Nadal thrives on hard courts. The Spaniard is a top contender for the 2017 event along with other legends due to participate. Germanys Angelique Kerber, ranked world number one, with two grand slams under her belt is also set to kick-start her year at the Brisbane International tennis tournament. Defeated by Azarenka in 2016, Kerber has a debt to settle. Kerber knocked Serena Williams off of pole position earlier this year by defeating her in the US Open. With a boost in Confidence Kerber is a top contender in the woman’s division for the 2017 Brisbane International tennis event. The 2016 Brisbane International tennis tournament saw some heavy upsets in both the men’s and woman’s divisions. 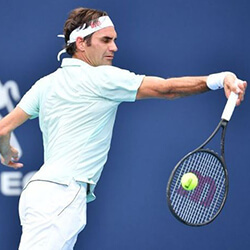 Swiss legend Rodger Federer progressed to the finals only to meet his match in Canada’s Milos Raonic. 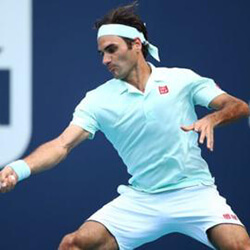 Raonic claimed victory over Federer in 6-4, 6-4 sets. In the woman’s division, strong favourite Maria Sharapova bowed out of the tournament early, displaced by a forearm injury. The women’s finals of the Brisbane International tennis tournament 2016 saw Azarenka and Kerber face off for the title. It was Azarenka who emerged victorious, defeating Kerber 6-3, 6-1. The 2017 Brisbane International tennis tournament is shaking things up for fans in quest of more than just tennis action. New features including Free After Five is an initiative to create tournament dynamism. Free After Five allows fans to enter the grounds for free after 5pm. This affords people with the opportunity to experience the food stalls, nightlife and culture of the tournament. With the grounds undergoing major improvements to accommodate even more sports enthusiasts, Free After Five is certainly a game changer to look forward to.